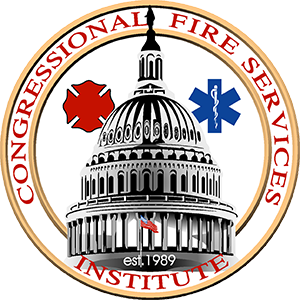 The Congressional Fire Services Institute (CFSI) is accepting applications for the CFSI/Masimo Excellence in Fire Service-Based EMS Awards. The presentation of the 2019 awards will take place on April 25, 2019, at the 31st Annual National Fire and Emergency Services Dinner in Washington, DC. The Congressional Fire Services Institute (CFSI) and Masimo will honor two fire departments for best practices and innovative solutions in the delivery of emergency medical services with the Excellence in Fire Service-Based EMS Award. The honorees are the Montgomery County (MD) Fire and Rescue Service and the Orange County (FL) Fire Rescue Department. The Congressional Fire Services Institute (CFSI) is accepting applications for the CFSI/Masimo Excellence in Fire Service-Based EMS Awards. The presentation of the 2017 awards will take place April 6, 2017, at the 29th Annual National Fire and Emergency Services Dinner in Washington, DC.